<firstimage=”//static.makeuseof.com/wp-content/uploads/2011/05/00_reward.jpg”> Visitors are the lifeblood of any blog. 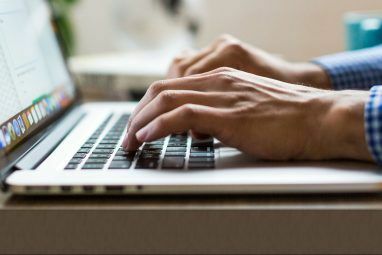 No blog will have a meaningful life without any visitors, so getting people to come and read your web writing is essential for your blog to survive. While getting many people to visit your blog is fairly achievable, turning them into loyal visitors is a bit more tricky. Producing great content is one way to achieve that. But you need more than quality content to keep your readers coming back for more. You need to entice them, and PunchTab might help you to do that. The idea behind PunchTab is more or less similar to the Facebook fan Easily Build & Customize Facebook Pages With Static HTML WYSIWYG Editor Easily Build & Customize Facebook Pages With Static HTML WYSIWYG Editor Facebook Pages is a great promotion tool. You can use it to promote your blog, your product, or even yourself. If you are a code novice and want to build and edit your Facebook Pages... Read More gate Promote Your Blog Or Business on Facebook With The Help Of The Wildfire iFrame App Promote Your Blog Or Business on Facebook With The Help Of The Wildfire iFrame App If you are one of those who could use some help building your promotional Facebook pages but can't spare any extra cash for it, today might be your lucky day. Wildfire - a social media... Read More concept: you ask visitors to do something and reward them for it. If you can make the actions and rewards interesting enough, your readers will come back for more. You have two options after signing up with the service. The first one is setting up a loyalty marketing program, and the second one is running a one time giveaway. Let’s look at the options one by one. To start a loyalty program, click the “Begin” button. Begin by choosing the type of site you have, then decide on the location of the “Reward” tab. 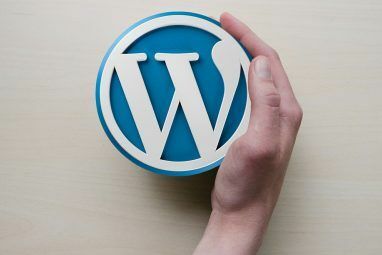 There are several types of site that you can choose from including Blogger, TypePad, and WordPress. Since all of my blogs are powered by WordPress, I chose it from the list. Upon clicking the “Submit” button, PunchTab will generate a key for you. You’ll need to input the key in your site later. WordPress users can download and install the PunchTab plugin directly from within their admin area. To enter the key, go to the PunchTab settings menu. Other than the key field, you can also adjust the location of the “Reward” tab. 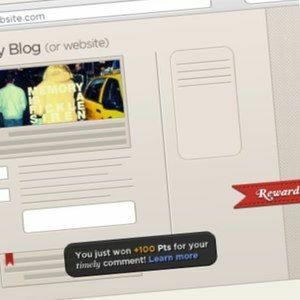 The Reward tab will appear on your blog at the location that you’ve specified. If your visitor clicks the “Reward” tab, they will see the pop-up reward window, and they will go through the process that you’ve set to get the reward. You can give virtually any kind of rewards for your visitors. You can manage these rewards by clicking on the “Manage Rewards” button next to “Loyalty Program Settings“. Create your own reward by filling in the brand and type of reward that you want to give. Set the number of points needed to redeem the reward and click the “Add Reward” button. All the rewards that you’ve created are listed on the reward table below. You can trash the reward(s) using the delete button. Besides the loyalty program, you can also create a one time giveaway. This type of incentive giving is perfect for contests or a time limited bonus. There are several fields you should fill in when creating the giveaway. Start with the name, description, and URL of a specific blog post. Then continue to questions, Facebook page, and the end date. If you have a Facebook fan page, use the URL here. You can see how the “Giveaway Ticket” will look on the preview. There are many things that you can give as a reward to your readers, either in the loyalty program or as a one time giveaway, for example: (PDF) e-books, special short courses, exclusive memberships, shopping coupons, or even physical goods like mousepads, mugs, t-shirts, etc. I think that if you are serious in your blogging business, you should consider using methods like PunchTab to build your loyal visitors. What do you think? Do you have any other ideas on how to keep them coming back for more? If so, please share your opinions using the comments below. 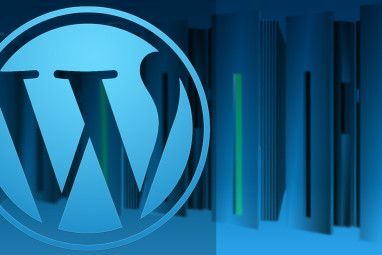 Explore more about: Blogging, Webmaster Tools, Wordpress, Wordpress Plugins. If you're reading this and need to install PunchTab, these steps are perfect. This is a great article. I appreciate the knowledge you have given me! My goodness, this is better than the quick start guide we are working on internally at PunchTab! Thanks so much.